Nice, the Queen of Riviera, is a lovely little city nestled between the mountains and sea. 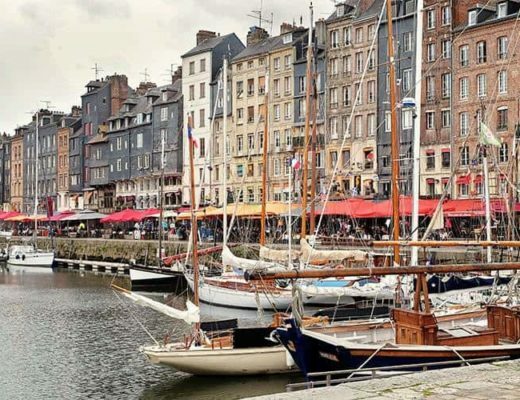 It is one of France’s most popular tourist destinations and has pretty much everything you’d want in a perfect holiday. 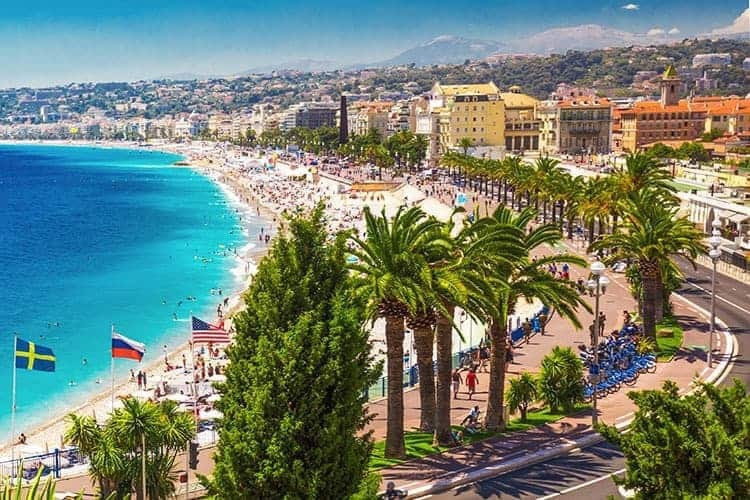 The vast Mediterranean coastline, the grand art galleries and museums, a fantastic cuisine, and just the “right kind” of climate makes this spot a must visit! But where do you go if you’re visiting for the first time and have limited time? Don’t worry; even if you have only one day to spare, you must check out these five top destinations. 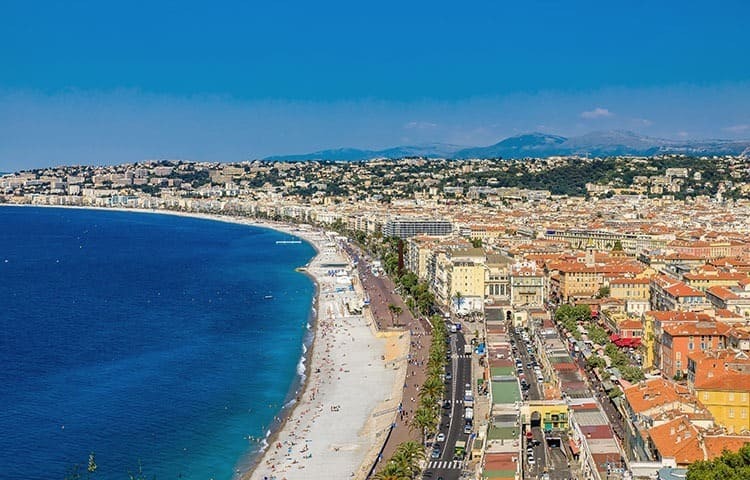 Promenade des Anglais is more than just a 7 km long stretch of coastline running from Castle Hill (La Ccollione du Château) to Nice airport. A walk along the shoreline will give you the chance to experience a glimpse of the buzzing city life. You’ll encounter people sitting or strolling, taking in the fresh air, cyclists, and runners going about their day. You can sit and enjoy a lovely evening by the sea and go to one of the many Cafes that are nearby for refreshments. You might even catch the parades for Nice Carnival if you come by the city in February. 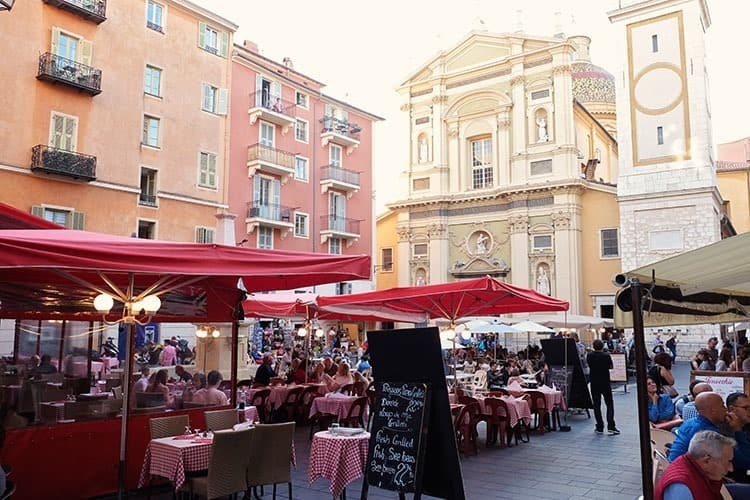 A trip to Nice without visiting the old town would be like going to India and not seeing the Taj Mahal. 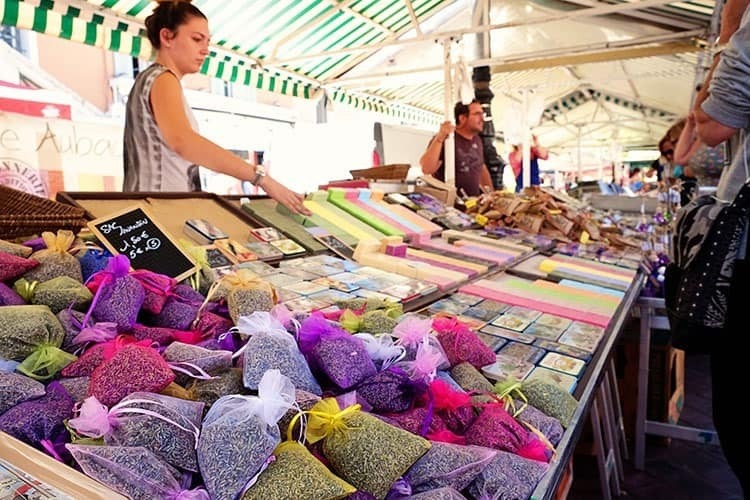 Vieille Ville, is in essence, the very soul of Nice – a place where the local inhabitants (Niçois) live, love, and earn their bread. 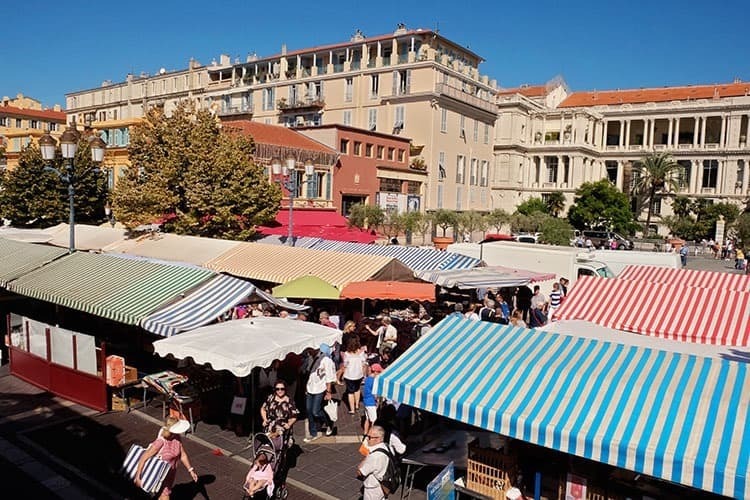 Some other places to check out are The Rosetti Square for some home-made ice cream, The Courthouse Square, The St Francis Square for its small fish market. Vieille Ville is a stark contrast from many of Nice’s other areas. Head over to the east side and up the top of Castle Hill to see the gorgeous winding cobbled streets and beautiful buildings in many shades. If you want to get an unobstructed view over the town’s red-tiled rooftops, you have to head over to the eastern edge and climb the winding staircases up to Colline du château. From the top of the steep hill, you can locate great hallmarks such as hotel Negresco and the eastern port. 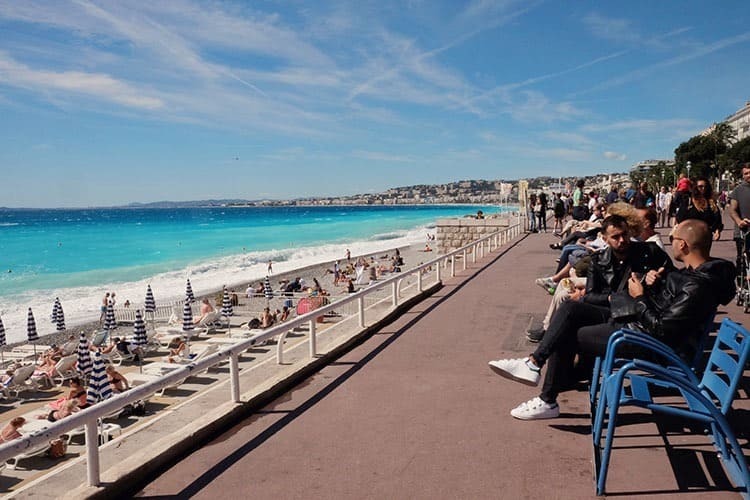 Or you could simply get lost in the moment looking at the azure sea in the Baie des Anges. The Cours Saleya Market is one of Nice’s unique tourist attractions. This eccentric fresh produce and flower market is full of colors and perfumes of the day’s fresh produce that overflow in abundance. It starts filling up from early morning, so be sure to visit before the stocks run out. 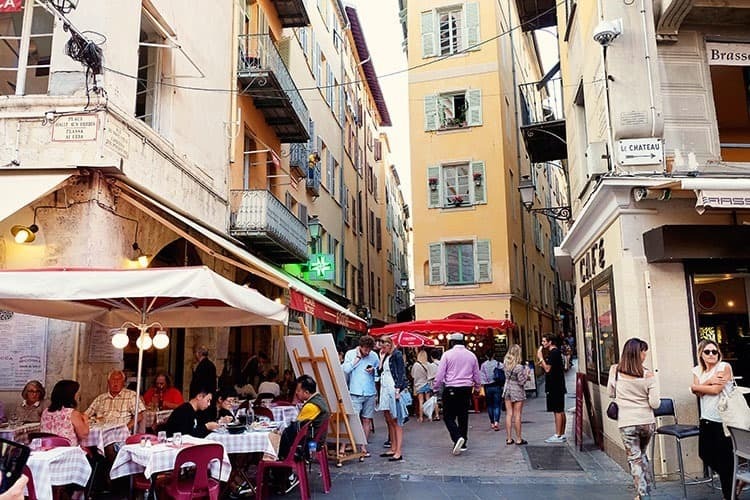 After you’re done shopping, visit one of the many cafes and restaurants that line the square for some freshly brewed coffee and delicious croissants. 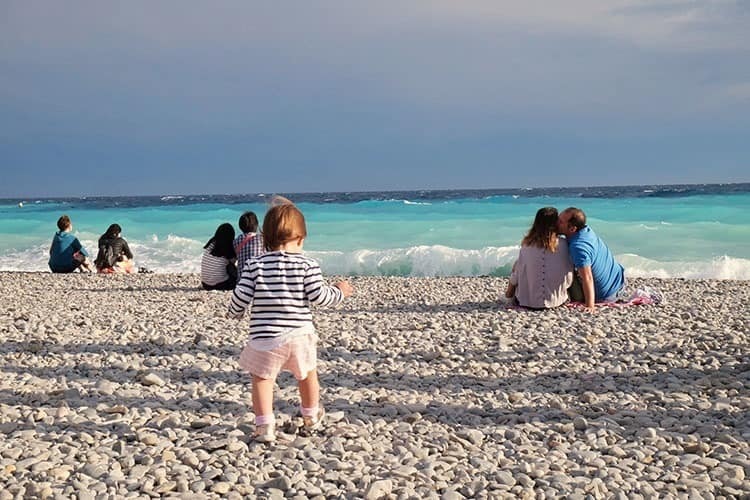 You might be slightly disappointed with Nice’s pebbly beaches, which are not exactly for sunbathing. But if you’re a beach lover who enjoys just sitting and taking in the fresh sea breeze, you’ll be in for a treat! But don’t worry; you can always rent the services of specific private hotels that provide spaces for sun lounging. 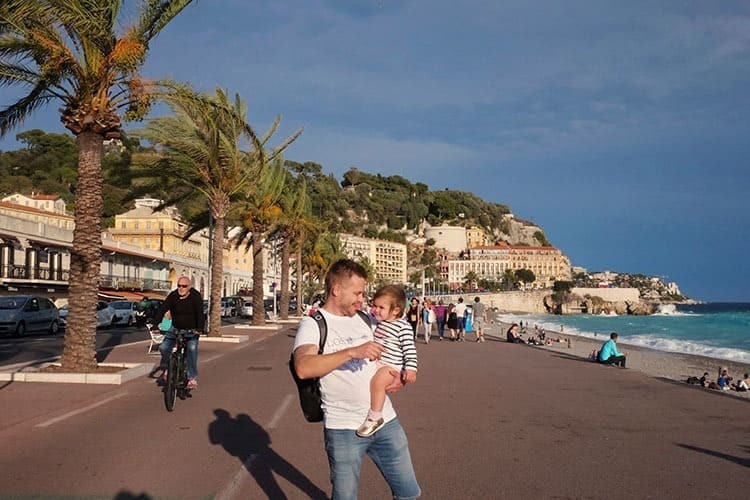 If you have young kids, you might enjoy visiting the beach on the other side of Mont Boron at Villefranche-sur-Mer. The pristine, clear water is not only shallower but cut off from the open sea – perfect for the little ones! 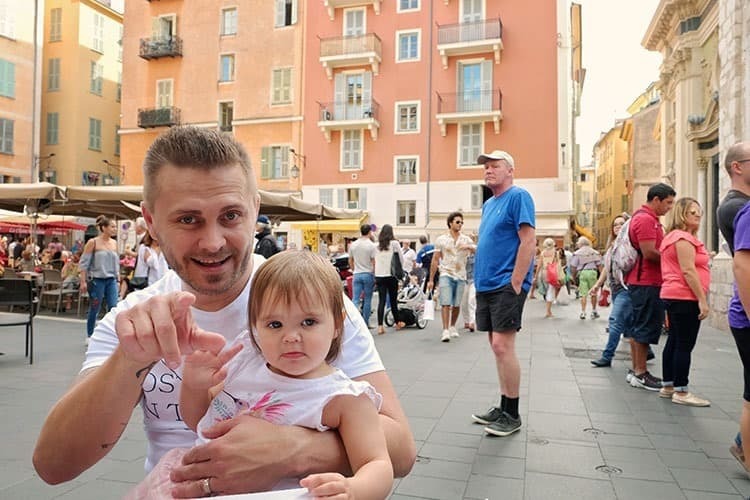 We absolutely loved our time in Nice! We had plans to day trip to our towns close by but we enjoyed Nice so much that we completely abandoned our plans. 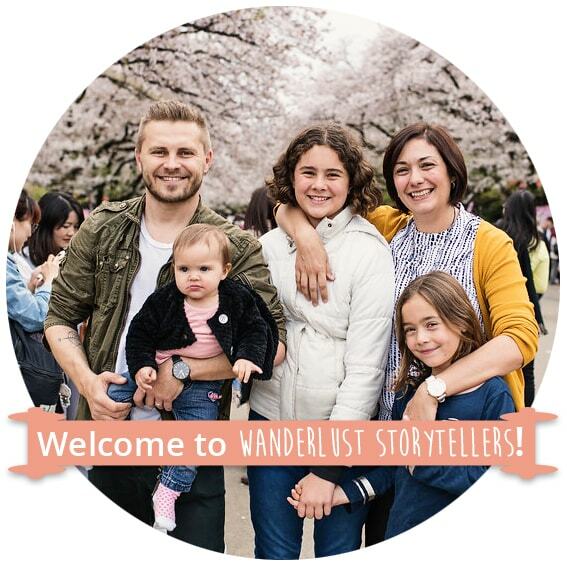 Not sure how to fit Nice into your travel plans? 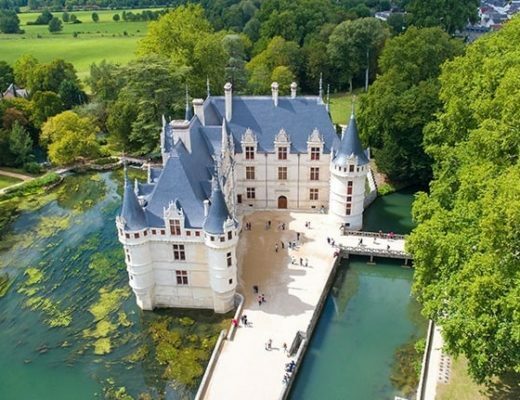 Our France itinerary might help you. 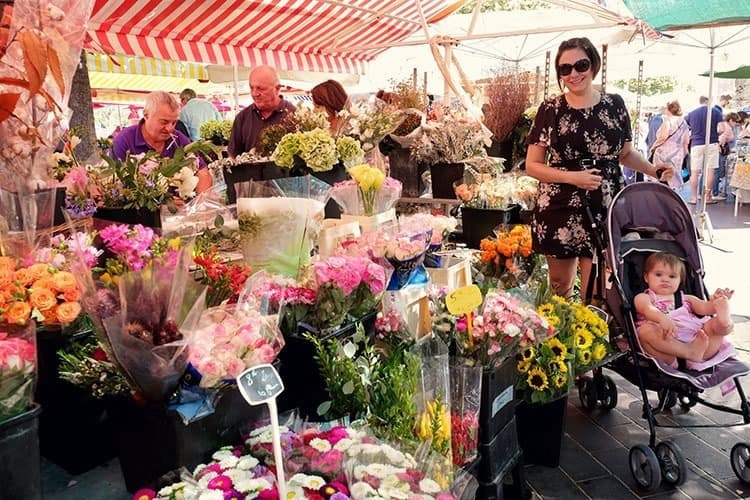 Visiting France with a baby or toddler? 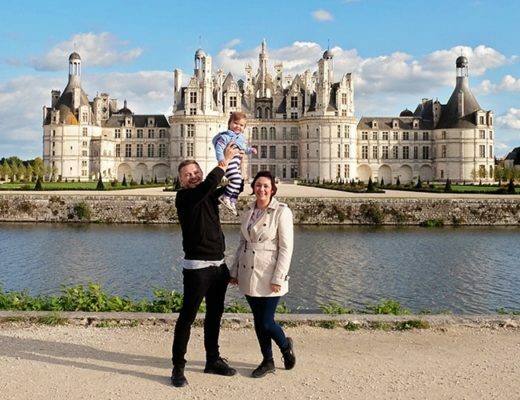 Our guide on how to visit France with a baby (or toddler) might be beneficial for you. 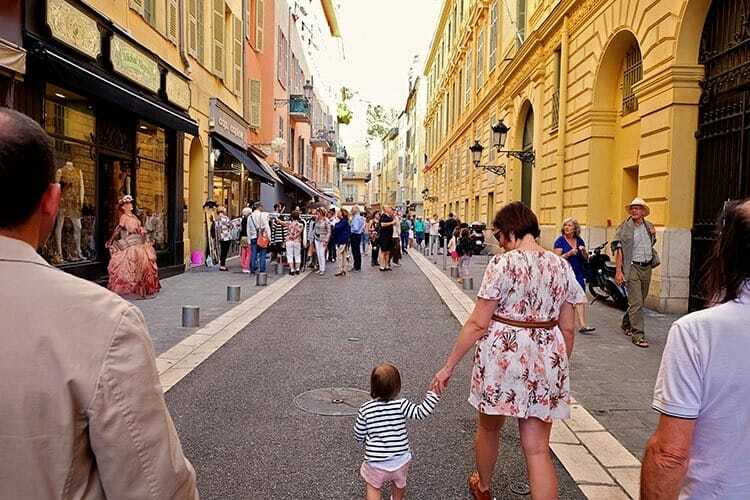 Grab more helpful tips and ideas for Nice from the official Nice tourism website. This is great. We will be there for a day in Oct and this gives us an idea of what to do. Thank you so much.